Online stream anime episodes, Watch Naruto Shippuuden Episode 164 English Subbed online and free episodes. Anime Episode guide, Chapter Naruto Shippuuden Episode 164 English Subbed Danger! Sage Mode Limit Reached Naruto successfully begins taking out Pain’s bodies one after another, but when his Sage Mode reaches its limit, Pain attempts to take control of the battle. Naruto throws another Rasenshuriken but it’s absorbed by a revived Preta Path. He manages to kill the Naraka Path, just to get repelled by Deva Path who has just recovered his power. 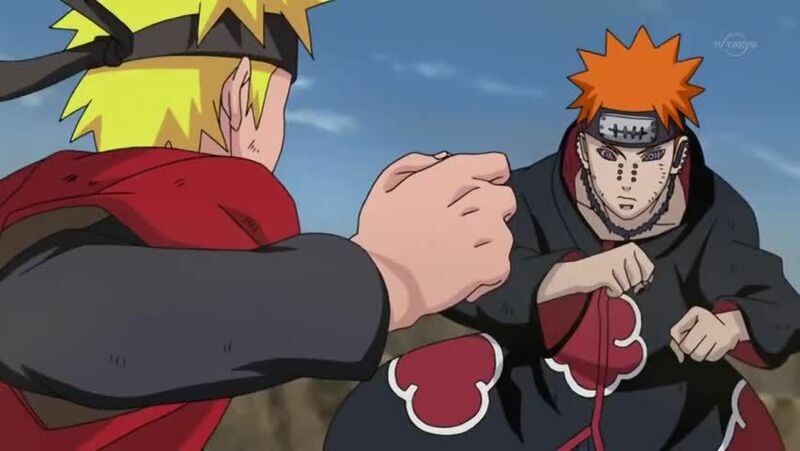 As Deva performs another Shinra Tensei to the toads, Naruto realizes he can’t use taijutsu or ninjutsu on the remaining paths, so he will have to fight them using a genjutsu suggested by Fukasaku.